So much of my time is given to reading boys' books that, when I read books for grown-ups, now and again I find myself saying, "What a bully story for boys to read!" Latterly, I have been putting down the titles of such stories. When the list began to lengthen, it occurred to me, why not make a book for boys containing stories like that: stories written for grown-ups but also of interest to boys in their early teens. Such a collection of stories could not be made, however, without the consent of the authors and publishers, but since everybody loves a boy, I didn't have much trouble in convincing them they ought to grant permission to use their stories for such a purpose and, as a result, I am pleased to present to the boy readers of our country the Boy Scouts Book of Stories. Looking over the list, I find it covers pretty well the reading interests of boys. There are stories about boy scouts, school stories, stories of the sea and "wild west" stories, detective and mystery stories; most of all, though, a goodly number of humorous stories, and I am willing to hazard the guess there will be no regrets on the part of readers because the selections happen to abound in stories of the latter sort. How about it, boys?. 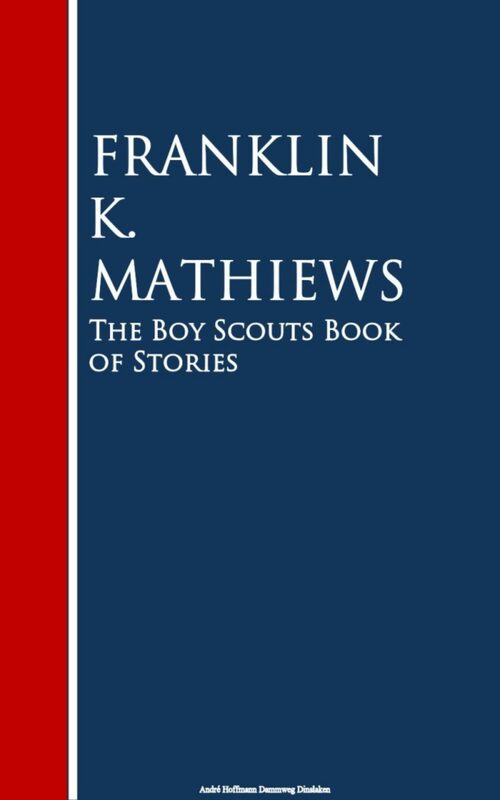 Otros ebooks de Franklin K. Mathiews.